Back at Toy Fair 2017, we got to check out many new ReAction Figures coming from Super 7. As you may remember, Super 7 is now the sole producer of the official ReAction Figure lines. 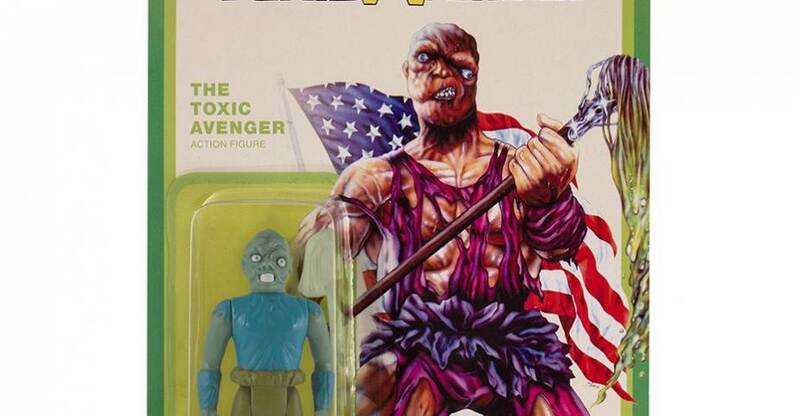 Among the new reveals were figures based on the cult horror franchise The Toxic Avenger. The Toxie figures are now available for purchase! There are currently two versions of Toxie available. 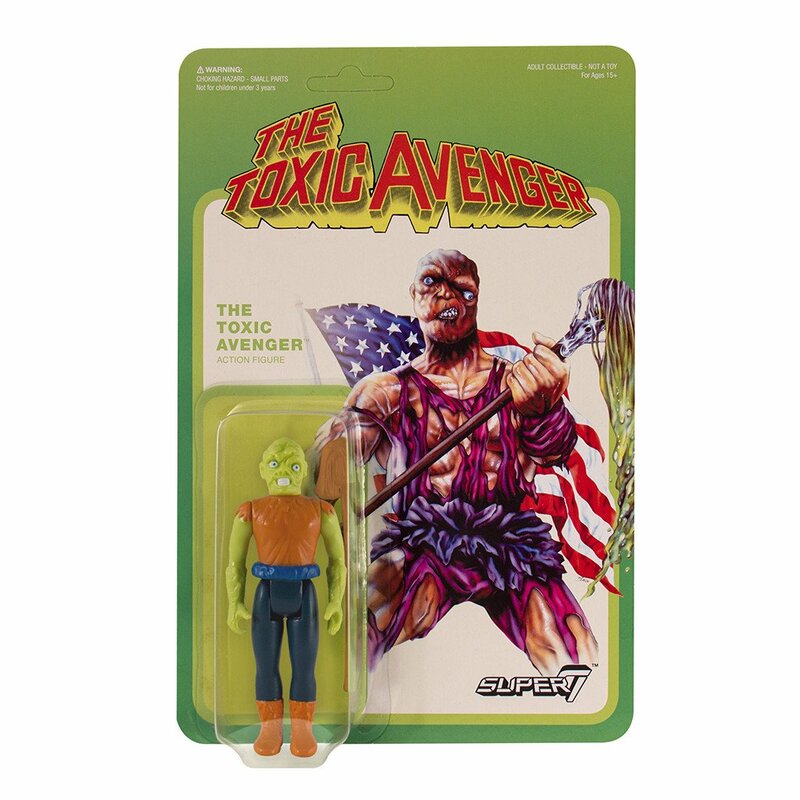 There’s a Toxie based on The Toxic Avenger Movie, as well as a Toxie based on the 1991 Toxic Crusaders cartoon series. 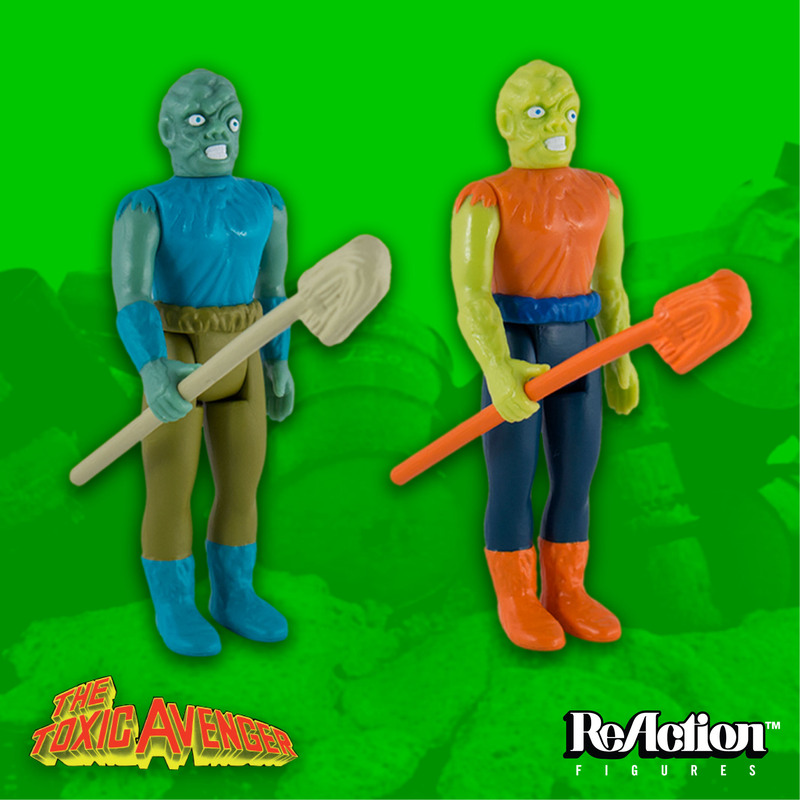 The 3.75″ scale Toxic Avenger includes a mop accessory. 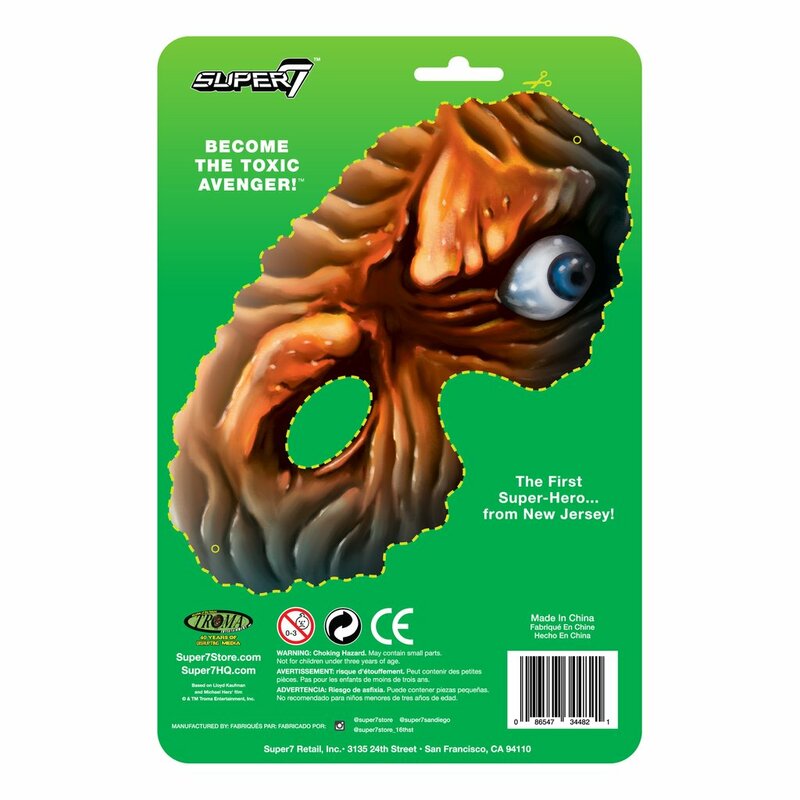 The card back also includes a cut out Toxie mask. The figures can be purchased by Clicking Here. they are priced at $15 each. See a few new photos by reading on. Why is it, the less detail these figures have, the more they cost? Most of the CWverse figures had a lot more deets and paint but they were a tenner. EDIT: I realize a different company makes them now, but I did not expect a price bump. I realize that there's a demand for 70's-era Kenner-style figures (admittedly, I have quite a few Super7/Funko ReAction figures) but I'm a little surprised that Super7 didn't decide to make this figure in the 90's Playmates aesthetic. 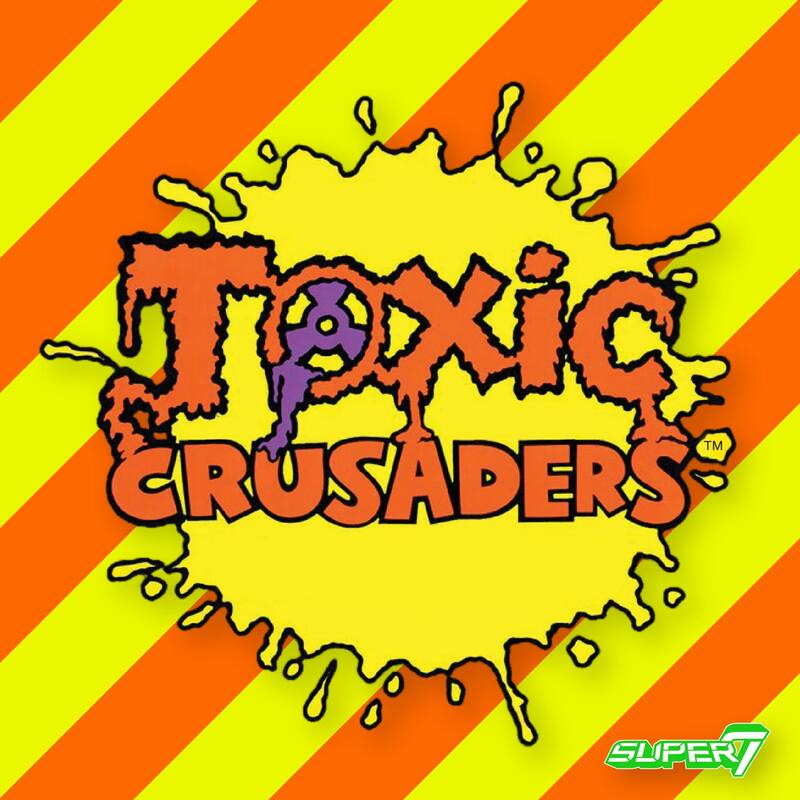 For a lot of us who grew up in the 90's, the Toxic Crusaders line, from Playmates, was the first introduction to all things Troma. neat idea, but just say no to 5poa. Why even bother if the show actually did have a classic line? Hooray to 3.75" 5poa..... The mother of modern figures! It is happening if we like it or not. If you can't lick 'em.... join' em! I fully embrace them and love that there is room in the collecting world for them. They must be doing well because they kill it with dozens and dozens of licenses. Wave after wave each year getting stronger. I don't collect them, but I am so proud that they are being made. The original 90s toys are great, so why bother with these? I think the designer/retro toy shtick is staring to wear a bit thin. I'd love to see some toxic crusaders m.u.s.c.l.e figures. Especially a neon green or orange variant. Maybe even a glow in the dark? If Super7 made Toxic Crusaders Classics (TCC) to go along with our MOTUC figures, that is the only way I could get excited about them holding the license. However, given how few MOTUC figures they produce and their seeming apathy towards the Thundercats license, I'm not expecting anything worthwhile. They don't have apathy towards Thundercats. They were denied the license. As was everyone else who has tried to get it. The first movie is a classic. After that, yeah�no bueno. i feel the same way about Pulp Fiction, never did understand that?